Create a perfect porcelain palette for your make-up or just wear it and go. This silky, light and fuss-free foundation is perfect even for humid climates. 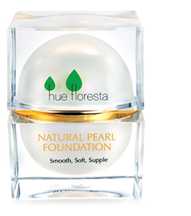 Lustrous Pearl Powder renews skin cells while boosting its natural whitening process to give you a sheer and natural glow. Spread a small amount onto your clean face and blend gently.